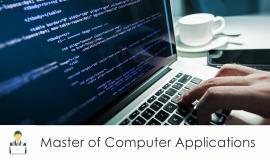 MCA programme of SGVU-DE is designed to help students meet the increasing demand of qualified professionals in the field of Computer Science and Information Technology. It emphasizes on the application of software’s to solve scientific as well as commercial problems. The programme provides thorough and sound background in theoretical and practical application including latest trends in software development. MCA is the dynamic course designed to provide foundation for research in the core and emerging areas of the discipline. To lay sound foundation for conceptual understandingwith an insight into the intricacies of software and dynamic business environment. To provide excellent theoretical and practical exposure in the algorithm designing & optimization, programming, network & database management, mobile technologies and more. To guide the students for better knowledge of computer applications and develop programming skills coupled with managerial skills to help students meet the rising manpower demands of the global IT industry. To equip students with emotional maturity, analytical ability, cross functional capability and skills to operate effectively in multicultural global business environment. I am a lecturer, after checking list of UGC - AICTE approved University; I came across Gyan Vihar. I am happy with the support team, course content with clear learning objective. I am working with Saksham Healthcare as a Manager. I was impressed with the support team. The flexibility of any where learning through LMS is pretty impressive. After graduation I was confused about which university should I pursue my MBA. I selected Gyan Vihar University, the staff is very polite and helpful, I am very much satisfied.